Seems like the most normal thing a little brother would do on his first time. Though he might not have done it if he knew he was being recorded. If you can imagine what goes on in the mind of a young adolescent male you probably don’t need to watch this video but you definitely should anyway. 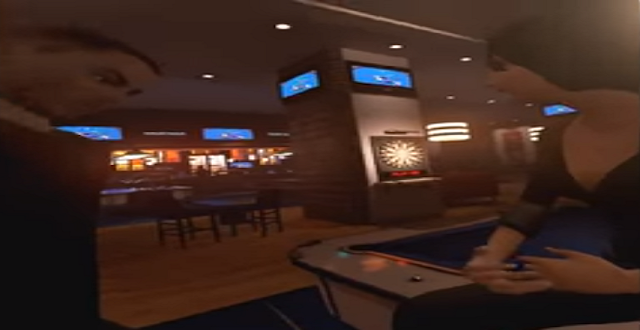 Youtuber Stephen Kick secretly recorded his little brother’s VR experience in Pool Nation VR. Throwing, fondling, you name it. Nothing is off limits here but nothing really NSFW as it’s all clothes on and Polygons.